Nick Murphy’s gloomy tale of police driven to desperate measures, in the wake of a local child murder, features a British acting quartet of the highest quality. 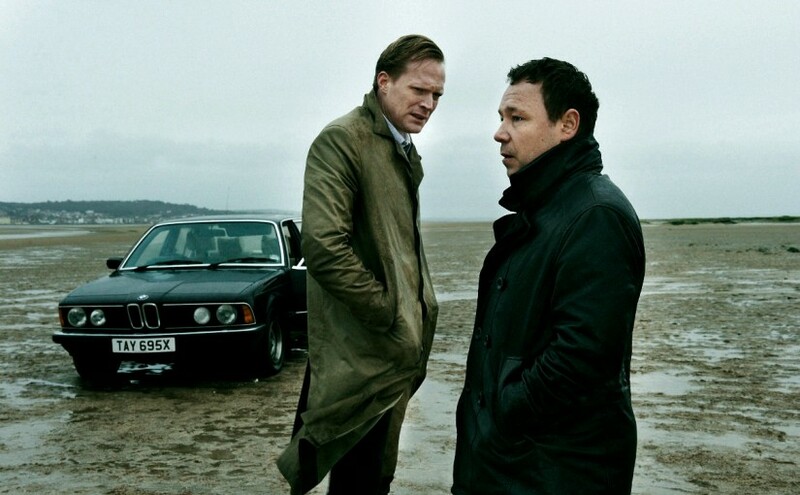 Paul Bettany is the stressed homicide cop at the centre of these grim events, aided by an assistant who also happens to be his brother (Stephen Graham). Both operate under the domineering shadow of their father (Brian Cox), a retired legend of the same police force. His spirit looms over them, beckoning them on, daring them to match his fabled heights. Physically he demands their attention too, as the brothers struggle to manage his early but increasing decline into dementia. Finally, the rock solid Mark Strong keeps his beady eye on events from within the same squad, as they begin to seep slowly beyond the boundaries of control. Murphy previously gave us the twisting and impressive ghost yarn The Awakening (2011). While both movies share a dark and haunting bloodline, the period gothic fantasy of that earlier film is certainly the more successfully beguiling of the two. With such a high calibre of performers at the helm, why does this venture not satisfy in the way one might naturally assume it would? The blame lies with the format. Blood feels like a British take on ‘Nordic noir’ TV, complete with a typically ravelled storyline, and characteristic evenly-paced plot points. But necessarily condensed to squeeze into standard feature length, the result is that too much is lost in the process. All the individual elements are present and correct – fine acting, sharp plotting, neat set pieces – and all are impressive in their own right. But nothing is given the space and depth that it deserves, leaving a residual sense of malnourishment. The cliffhanger revelations that would naturally come at the end of each episode if this were a televisual piece are obviously sign-posted. Forced into a cinematic frame their power is only weakened as the brisk pace negates the impact they warrant. The credentials of the lead foursome are undeniably infallible. Mark Strong does provide a stern backbone. His ever-reliant steely resolve gives a much-needed grounding to the whole. Brian Cox effortlessly conveys a mentally deteriorating ego struggling to cling on to former ‘glories’ of a time now (thankfully) dead and buried. Lead Paul Bettany effectively portrays the determination to both see justice done and live up to the shadow of his father. But he recedes from the action in the second half, squeezed out by the run-time, just when he should dominate as the weight of the tragedy bears down. And a miscast Stephen Graham, an actor who so consistently impresses elsewhere, just doesn’t convince as Bettany’s brother. The first act showcases eerie moments of half-lit bleakness that offer chilling promise, and the film is watchable, intriguing, and effectively paced to make for an enjoyable enough ride. But ultimately this entry into the contemporary Brit noir genre misses its target, let down by not delivering on the combined promise of the clientele involved. Ultimately this is an only partially successful transfusion to the cinema screen, one whose core life force has been thinned to the point of anaemia.